Is your online training program cost-effective and efficient? Or does it drain your resources? Learn 7 ways a Learning Management System can help. Do your employees grumble about having to go to another online training class? Do you struggle with online training attendance? Then your company may be ready to upgrade to a new Learning Management System. Have you created a requirement list for your new LMS platform? This is the most crucial step toward finding the right Learning Management System for your organization. Does online training really give ROI? If so, how much should be invested in your new online training program? In this article, I’ll highlight the top points to consider to create an accurate LMS budget for your organization. Have you factored in all the costs of your new Learning Management System? In this article, I’ll highlight 7 hidden LMS fees you should consider before purchasing your next Learning Management System. Your company purchased a new Learning Management System to deploy online training on a grander scale. But how do you use the LMS to actually achieve the desired results? Follow these 7 LMS implementation tips to make the transition go smoothly. Do you feel like you need an advanced degree to understand technical LMS terms? This compact list will allow basic understanding of 16 commonly used LMS terms, no Master’s degree necessary. LMS reports and analytics help you track learner engagement, progress, and overall eLearning effectiveness. But which metrics should you look for in your new Learning Management System? In this article, I’ll highlight the 6 LMS reports that every Learning Management System should provide. This Free eBook can help you select the right LMS for your needs. Find out the tell-tale signs that your organization is ready for a Learning Management System, the top criteria for choosing the best LMS for your organization having all possible LMS hidden fees in mind, as well as the LMS reports you should look for in a new LMS. In addition, learn how to make an accurate LMS budget, and discover some implementation tips for a smooth transition to your new LMS. 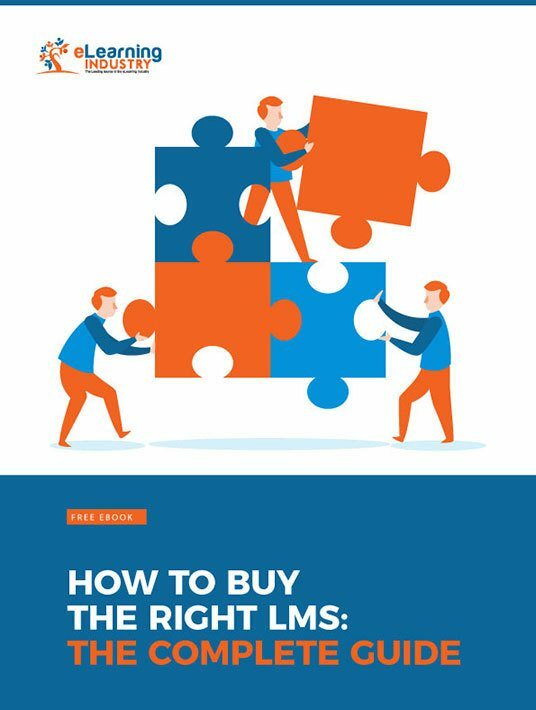 Download our Free eBook “How To Buy The Right LMS: The Complete Guide” today. A useful tool for every eLearning professional. You must provide your L&D team with all the resources they require to facilitate the LMS implementation process. Try to automate as much as possible to free up valuable time.